The design of the novelty retains all the key elements of the HL collection - a slightly curved case, reminiscent of baguette diamonds with a sawn ends, a dial with three-dimensional display of time and retrograde indication. In creating the HL range concept the designers focused on new ways to display the time. Finding new ways to display readings led to very non-standard solutions in the field of the watch mechanics. Engineering and design department of the company has been working on the project over three years. The result is a revolutionary watch, both in terms of design and time display. Indication of hours is carried out by using 12-link chains, located in the upper left side of the dial. Retrograde scale, showing the minute, is in the center of the dial. The watch is designed based on the automatic mechanism with a 45-hour power reserve. The movement consists of 552 parts. The transparent case allows you to enjoy the work of the artfully decorated mechanism. The minimalistic design of the model further emphasizes the complexity of the mechanism. The first thing that catches your eye - a rotating shutter mechanism, which makes for a day four full turns around its axis. Each new hour it takes a new position. From a technical point of view, it is necessary to minimize the negative effects of gravity. The novelty is presented in a case of pink gold. Masters of Hautlence are working over the case as long as the above mechanism. The transparent asymmetric parts of the case are made of a thick sapphire crystal coated on the inside with a multilayer anti-reflective coating. The watch is released in a limited edition of 28 items. 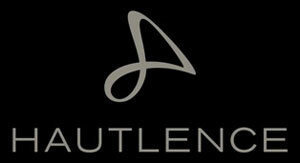 So, hurry to buy a masterpiece of watch mechanics and become a member of Hautlence Owner's Club. By joining the "club of the Hautlence watch owner” you can both communicate with other fans of brands and extend the warranty on the watch to 6 years. But do not forget that all good things worth good money. To buy the watch will be available through the authorized representatives of the company HAUTLENCE, price - $ 200,000.